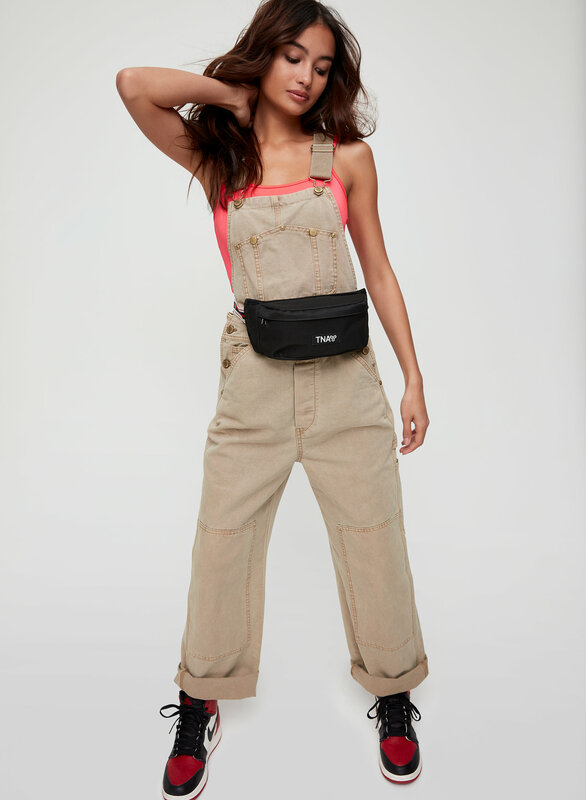 Styled with jacinta top and carpenter overalls . 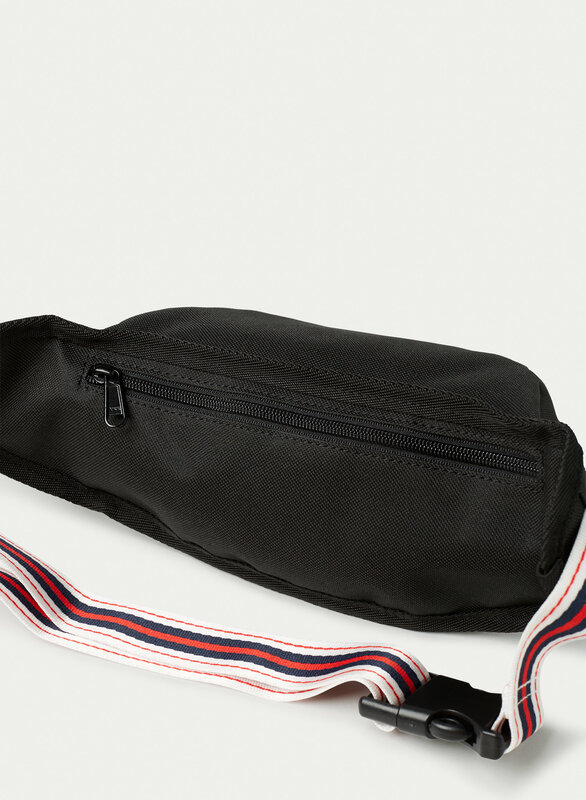 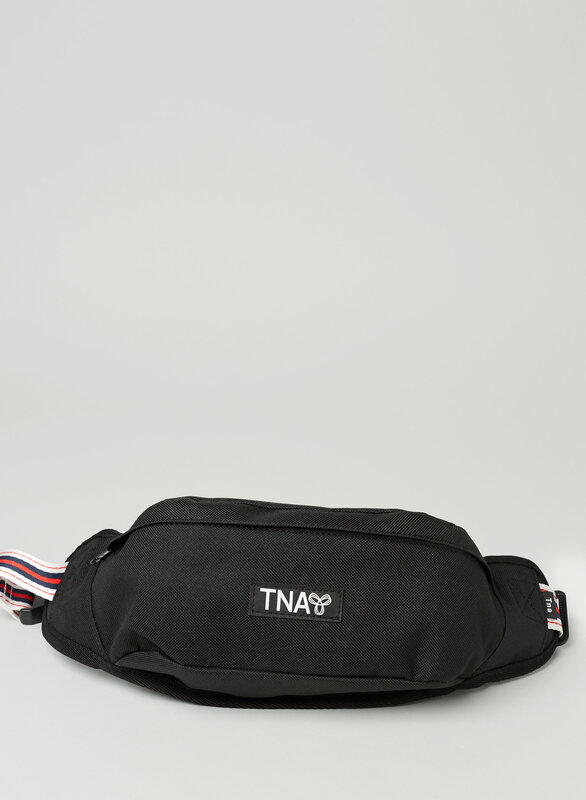 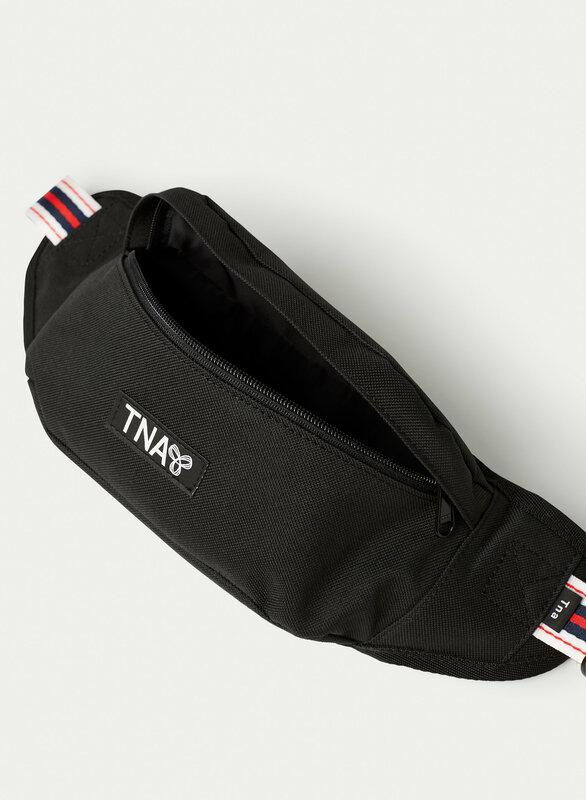 This is a street-inspired waist bag with two zippered pockets, an adjustable belt and speed clip closure. 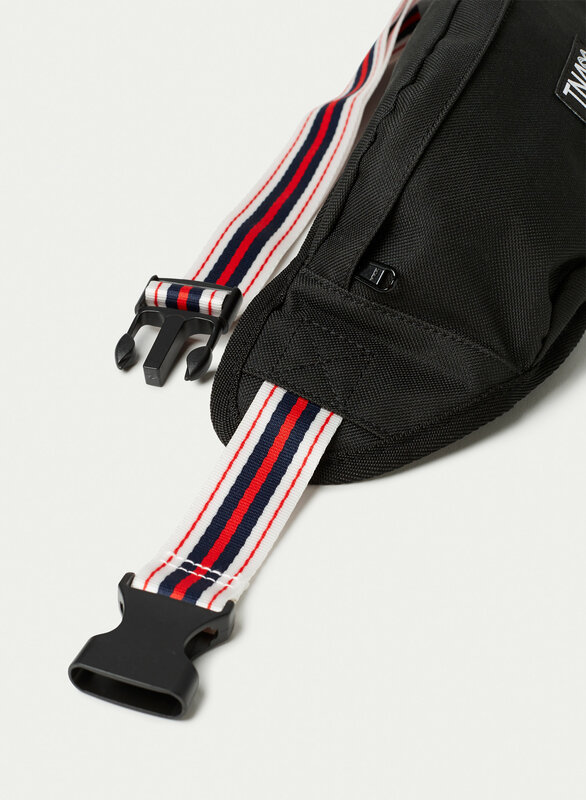 The bag is made with nylon and the belt is made with a striped webbing fabric.